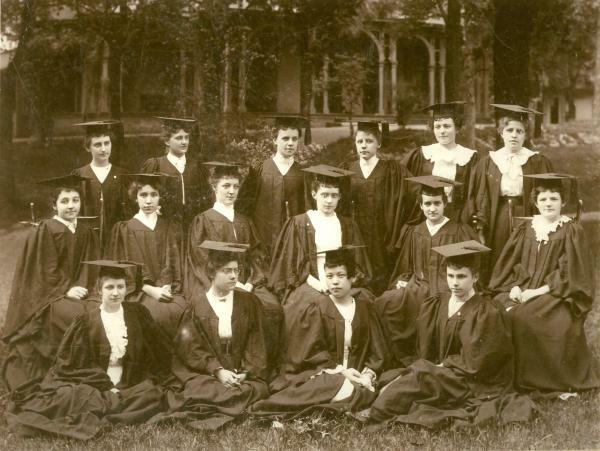 Wilson College, Chambersburg, PA, class of 1894. One of the oldest women's colleges in the state of Pennsylvania, Wilson College received its charter in 1868. The graduating class of 1894 included the school's first international student, Fuji Tsukamoto of Japan, seen in the front row, second from the right.